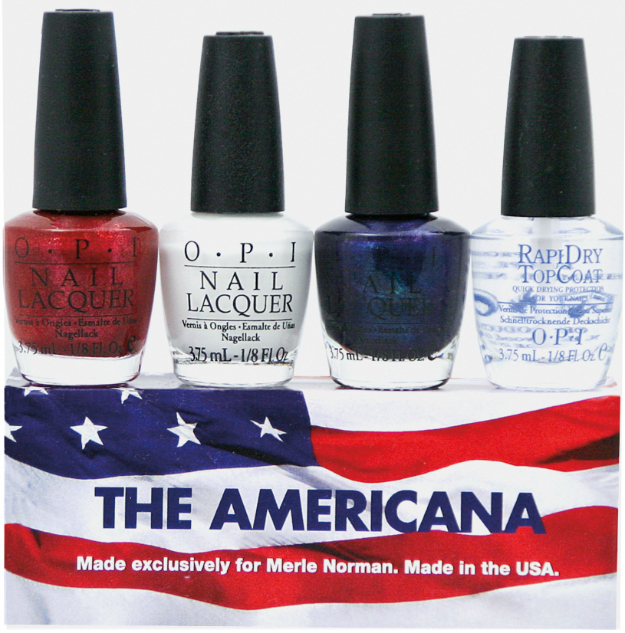 I was sent this adorable Americana OPI polish set created by Merle Norman Cosmetics and I just had to give one away to you guys! Just in time for Labor Day Weekend...red, white and blue nails. LOVE!